The Lima Locos’ Justin Wiley hits a double during Thursday night’s game against Grand Lake at Simmons Field. Looking on is Grand Lake catcher Logan Adams. Alex Ayala pitches for the Lima Locos during Thursday night’s game against Grand Lake at Simmons Field. Grand Lake’s Ryan Stacy reaches second base with a stolen base as the Lima Loco’s Justin Wiley receives the throw during Thursday night’s game at Simmons Field. The Lima Locos’ Justin Wiley safetly reaches third base with a stolen base during Thursday night’s game against Grand Lake at Simmons Field. LIMA — Lima Locos outfielder Tyler Anshaw put down a season of sacrifice bunts at Campbell University (North Carolina) this year. On Thursday, he proved he can do a lot more than put down a bunt. Anshaw went 3 for 4 with a home run and three RBI to power the Locos to a 9-2 victory against Grand Lake before 641 fans for the home opener Thursday at Simmons Field. The Locos are 3-2, while Grand Lake is 2-3. The Locos put together the full package for the home opener. They had 11 hits, two home runs, solid pitching an errorless defense. Brad Croy (Bowling Green/Ottawa-Glandorf) added to the offense by going 2 for 4 with a double, a home run and two RBI. “He (Croy) hits the ball harder than almost anyone on the team,” Gaynor said. Michael Diffley went 2 for 4 for the Locos. Anshaw had a double, single and home run. Locos lefty A.G. Ayala (Texas A&M/Corpus Christi) made his first appearance of the year and went 5 1/3 innings to get the win. He gave up two runs, both earned, on three hits. He struck out four and walked three. Ayala threw 85 pitches, 47 for strikes. Carter Bowen went 1 2/3 shutout innings. Jarrett Smetana tossed one shutout inning and Devin Smith closed it out with a shutout ninth. Grand Lake took a 1-0 lead in the first. The Mariners’ Ryan Stacy was hit with a pitch, stole second and came home on an RBI single to left by Logan Adams. The Locos tied the game at 1 in the third thanks to hustle by Justin Wiley. Wiley doubled, stole third and came home on a strikeout/wild pitch to Diffley. The Locos scored three in the fourth to take a 4-1 lead. Tyler Simon and Cade Beloso singled. After a wild pitch, Croy’s RBI groundout gave the Locos a 2-1 lead. Anshaw unloaded a two-run home run into the right-field bullpen to push the Locos lead to 4-1. “A few days ago and after the first game I started to feel comfortable,” Anshaw said. The Locos added two runs in the sixth to take a 6-2 lead. Anthony Amicangelo singled and Croy doubled. Anshaw had an RBI single to make it 5-2. Daniel Seres’ RBI groundout pushed the lead to 6-2. The Locos tagged on three runs in the eighth to take a 9-2 lead. Croy cranked a solo home run to left in the eighth to give the Locos a 7-2 lead. “I think we did a good job as an offense hitting fastballs and hitting mistakes,” Anshaw said. “… I think we’ll be pretty good this summer. 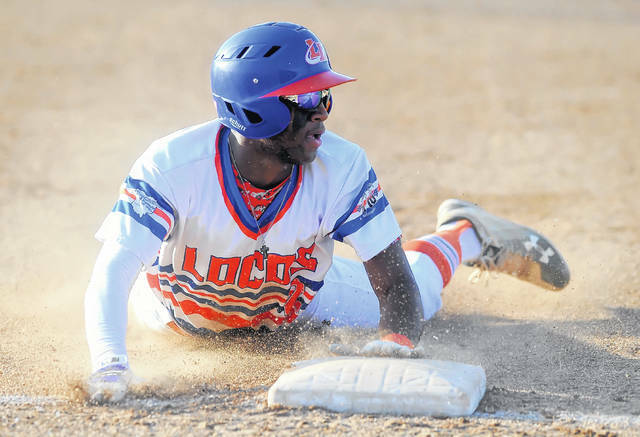 Locos notes: Grand Lake returns to play Lima at 7:05 tonight at Simmons Field. The Locos had 10 former players and two current players selected in last week’s Major League Baseball draft. The two drafted off the current roster are Georgia Highlands pitcher Noah Bryant (17th round to Kansas City) and Arizona Christian pitcher Bobby Milacki (38th round to Washington). Both have signed contracts. … Former Locos pitcher Connor Curlis (Ohio State) was taken by the Reds in the 24th round and has signed. Other former Locos who were drafted and have signed are pitcher Austin Cox (Mercer), who was taken in Round 5 by Kansas City and catcher Michael Emodi (Creighton), who was taken in Round 11 by Kansas City. The Locos are expecting the following players to report within the next few days: pitchers Trent Vietmeier (LSU) and Nate Witherspoon (Missouri State), catcher Braden Doughty (LSU) and outfielder Judd Ward (Auburn). 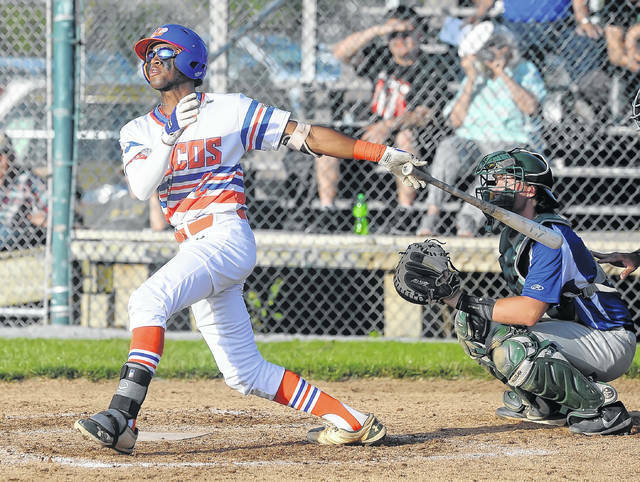 https://www.limaohio.com/wp-content/uploads/sites/54/2018/06/web1_Locos-BB-RP-002-1.jpgThe Lima Locos’ Justin Wiley hits a double during Thursday night’s game against Grand Lake at Simmons Field. Looking on is Grand Lake catcher Logan Adams. 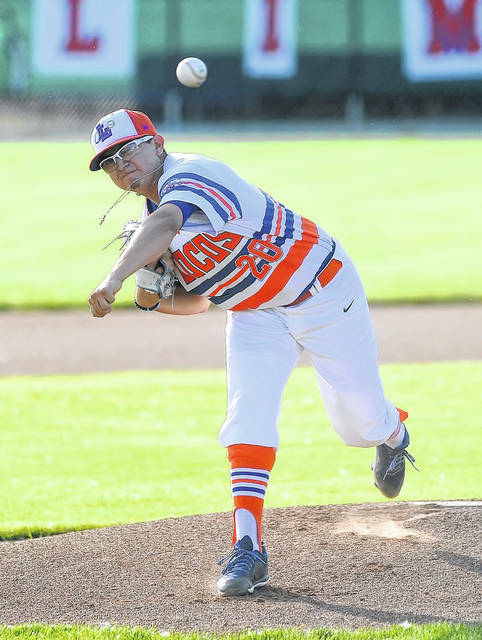 https://www.limaohio.com/wp-content/uploads/sites/54/2018/06/web1_Locos-BB-RP-003-1.jpgAlex Ayala pitches for the Lima Locos during Thursday night’s game against Grand Lake at Simmons Field. https://www.limaohio.com/wp-content/uploads/sites/54/2018/06/web1_Locos-BB-RP-008-1.jpgGrand Lake’s Ryan Stacy reaches second base with a stolen base as the Lima Loco’s Justin Wiley receives the throw during Thursday night’s game at Simmons Field. 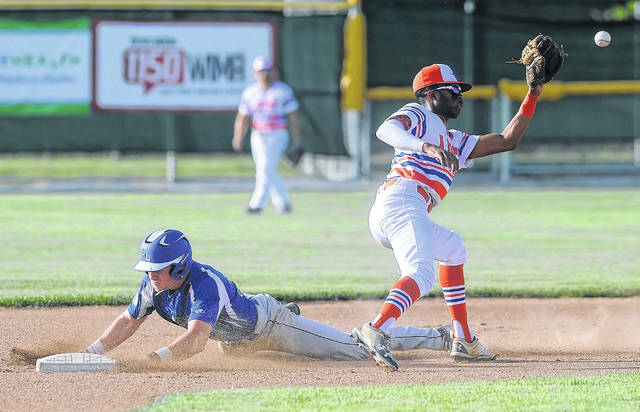 https://www.limaohio.com/wp-content/uploads/sites/54/2018/06/web1_Locos-BB-RP-001-1.jpgThe Lima Locos’ Justin Wiley safetly reaches third base with a stolen base during Thursday night’s game against Grand Lake at Simmons Field.